Because of work, flying from place to place has become a part of my life. But it’s still exciting for me when I see the destination of my flight ticket is written as Gold Coast. I traveled between Taiwan and Australia a lot when I was a child. Australia is my second home, and my stays there are always so relaxing. I visited Gold Coast with my children this April. And there are 3 spots that I want to share with you. When talking about Australia, I think the first thing come to everyone’s head is the kangaroo. 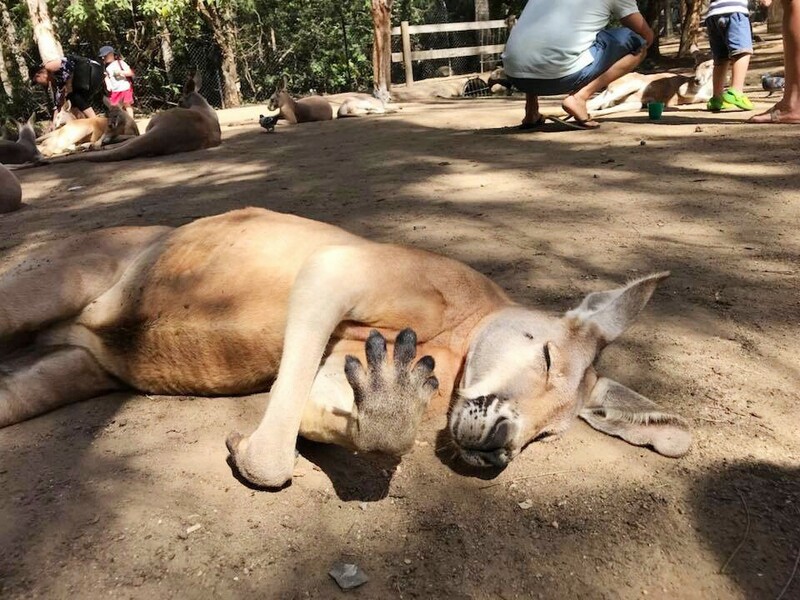 If you want to immerse yourself with nature and animals, you should visit Currumbin Wildlife Sanctuary. There are so much to do and see, such as kangaroo petting, lorikeet feeding, koala cuddling and a lot of live shows. Last time when I took Hathaway and Romeo there, they were so excited to see kangaroos. Once we got off from the miniature train, we got amongst a mob of kangaroos. These adorable creatures were not afraid of humans. Some of them were begging for food, and some of them were still enjoying their naps. Another unforgettable memory in Currumbin Wildlife Sanctuary was the very first close encounter with koala. Hathaway and Romeo were too little to cuddle koala, but only by petting, it made them super happy. And there’s one thing you should keep in mind, never wear a white shirt when you get up-close to wildlife. We saw koala pooped on a young lady when she tried to hug it. Oops! If you like to get away from the bustle of the Gold Coast and explore the charming vibrancy of Mt Tamborine, you should go to Tamborine National Park. 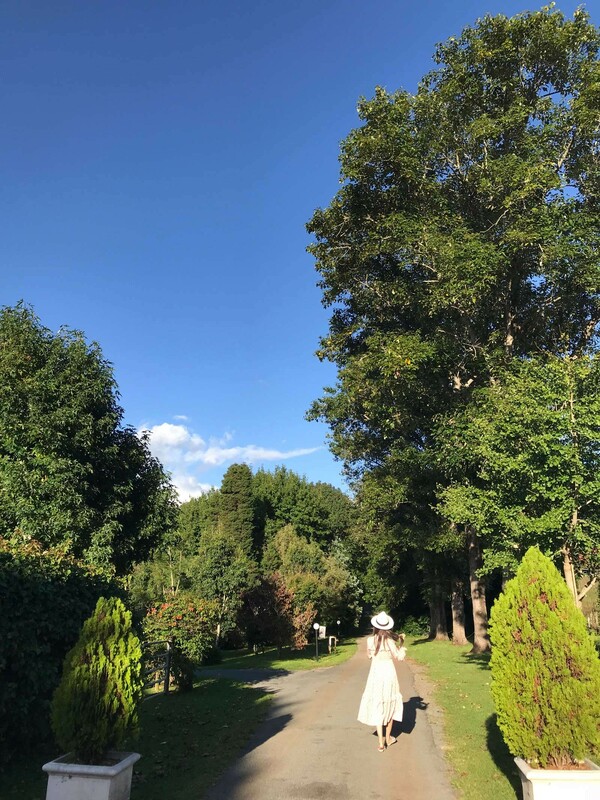 It’s only an hour away from Gold Coast and you just need to bring your picnic mat and what you like to eat to enjoy the abundant sunshine and the tropical forest. To get views of the mountain, you need to travel to the edges of Tamborine Mountain. And you can enjoy your afternoon treat on the plateau with a stunning view towards the Gold Coast. If you want to go on a little adventure, there are also several walking trails leading through the magnificent subtropical rainforest. 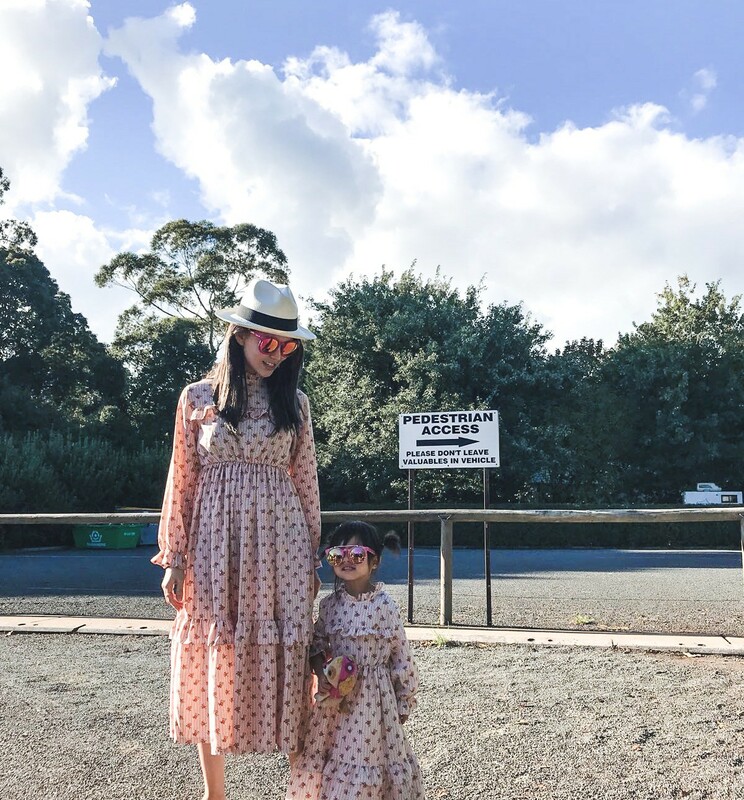 Picnicking in Mt Tamborine was my favourite, but for the kids, visiting glow worm caves was the one that they loved most. After a night time bush walk, we arrived in a cave illuminated by breathtakingly beautiful light. 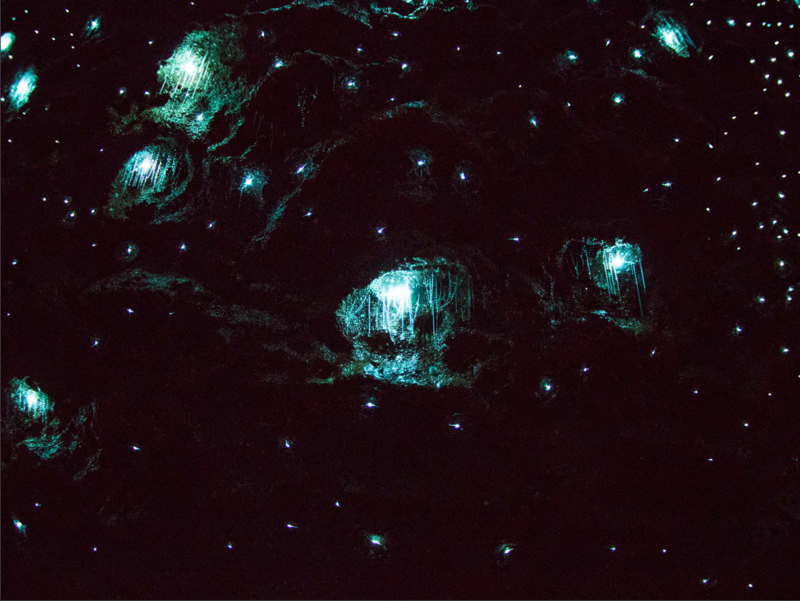 Thousands of grow worms glowing blue in the cave which looks like a starry night. Hathaway, Romeo and I were all amazed by this beautiful scene. In order to protect the glow worms, it’s not recommended to take photos, but you can always capture the beauty with your own eyes. This family trip to Gold Coast is very different from my solo travel experience. Hathaway and Romeo were always so curious and excited about everything, they also inspired me to see this beautiful world from their points of view. I hope you like my travel notes and maybe next time you can visit my favourite Gold Coast!